My second, and last, original creation for DS106 is one I think everyone is going to enjoy; since several of my classmates enjoyed doing American Sign Language for this year’s Halloween festivities, I decided to ramp things up a bit by creating a different kind of spelling bee. Though the key source of my inspiration was the American Sign Language challenge, this one was also inspired by the old SFM Entertainment bumper from the ’70s and ’80s, as well as the universal distress signal, S.O.S. 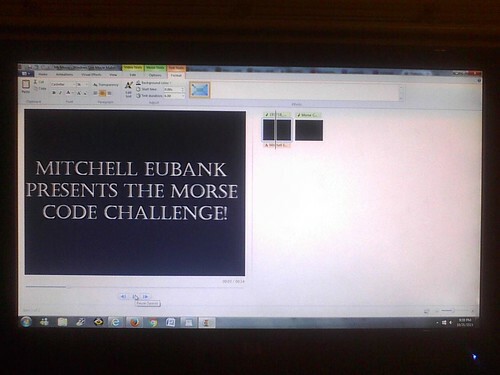 This is how you take part in the Morse Code Challenge. For starters, think of any word, at least five letters long; once you have it in mind, make sure not to tell it to anyone. Afterward, find a chart that translates letters into Morse Code, with the top priority here being to memorize the patterns to the best of your ability. 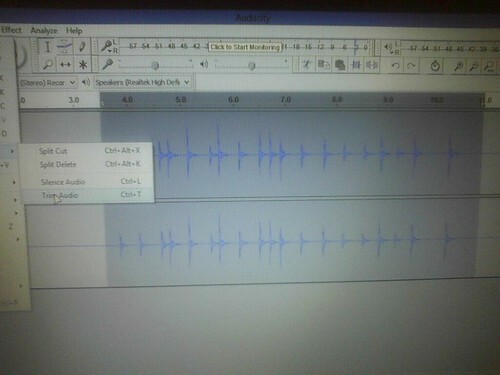 Then, use Audacity, or any kind of sound recorder, to get the sound you’re looking for, keeping with the Morse Code theme. In my example, I tapped my knuckles against my desk to the tune of the dots and dashes. When you’re satisfied with your final recording – after the usual round of editing – save it as an Audacity file, and export the audio as its own MP3 file; it’s the latter of the two that will be the most important part of this. 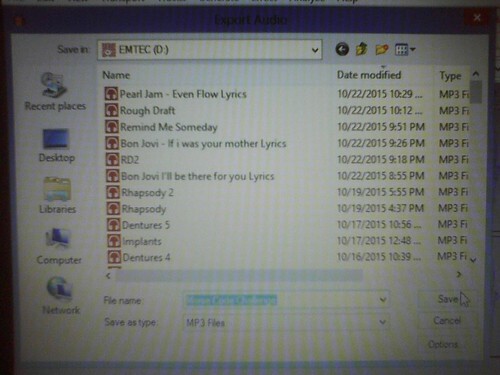 While you can upload the original audio to SoundCloud, if you so choose, I’ll upload my version onto YouTube, instead. Should you also choose to take this path, then this is the part where you can start using Windows Live Movie Maker, or any video editing software you might have. To make your entry seem more challenging, although they’re optional, repeats are allowed, as are clues to the identity of your mystery word. If you really want to add some bells and whistles, to provide the feeling of higher stakes for this simple game, you can. 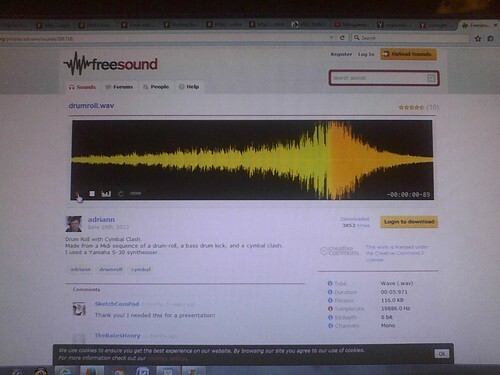 For starters, you could open your video with a public-domain drumroll, that you downloaded off of FreeSound. 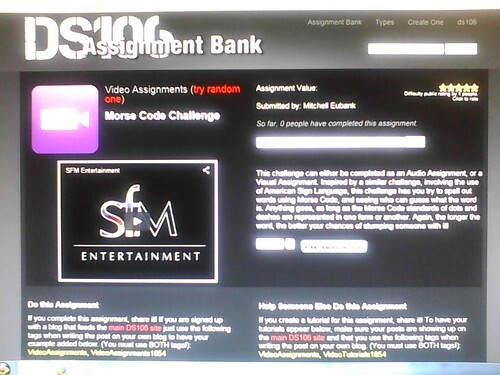 You can even add an opening and closing credits sequence. After a second round of editing is complete, take the time to save the project as is, before publishing the movie in its own file. When you do, turn everything in to SoundCloud or YouTube, complete with obligatory paperwork, and you’re done. This assignment, should you choose to accept it, will be worth an additional five stars toward your weekly goal.